Like the train that inspired it, a new art installation has arrived in French Lick with a collection centered around The Hoosier Line, better known as the Monon Railroad. The “Art of the Monon” exhibit features 11 paintings by renowned railroad artist Howard Fogg, commissioned back in 1947 for the line’s centennial. There are even Monon artifacts like metal chips from the trains themselves, sent to Fogg so his colors would be as accurate as possible. For over a century, the Monon hauled people and freight across the state. The Monon was unique even when it opened in 1853; while other railroads were westward bound to open up the new frontier, the Monon cut north to south from Chicago to Louisville. The Monon connected cities across Indiana, from Orleans and Bloomington to Lafayette and Michigan City. Much of that service went among the state’s universities, which even influenced the aesthetics of the trains. Passenger engines were painted in Indiana University cream and crimson, and freight engines bore Purdue’s black and gold. Considering the French Lick Springs and West Baden Springs Hotels’ relationship with the railroad, it’s fitting that the paintings are being shown off in French Lick. 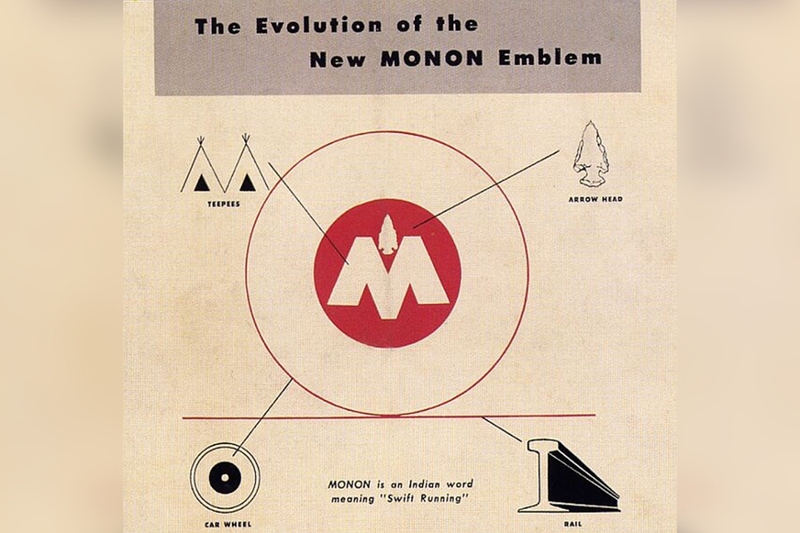 Though rail travel seems a world away now, the Monon operated as recently as the 1970s. “Throughout the 1960s and early 1970s it remained a top-rate company, albeit always a David surrounded by Goliaths,” writes American-Rails.com. It began fade soon after, until Louisville & Nashville bought the railroad in the mid-70s. 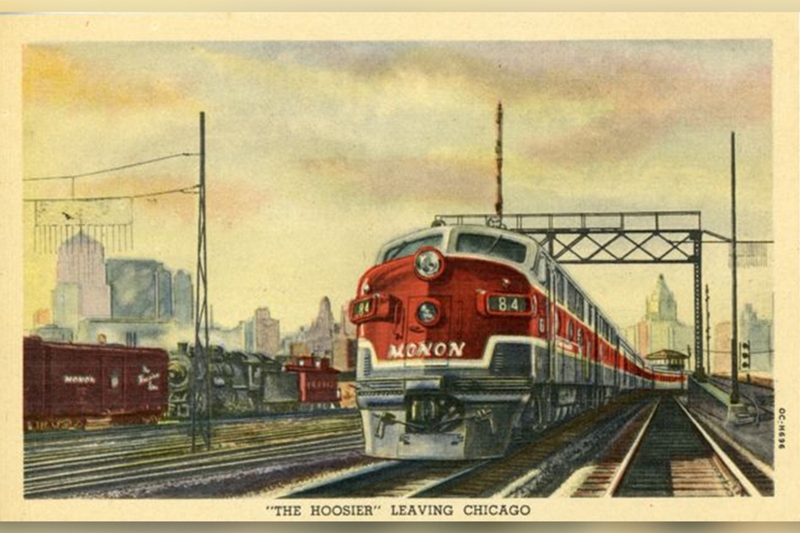 Image: Monon Railroad Historical Technical Society, Inc. But the Monon left its mark on plenty of Hoosiers, including collector and self-described “Bloomington-bound Monon enthusiast” Vince Savage. Savage’s ties to the railroad go back as far as – well, the day he was born. 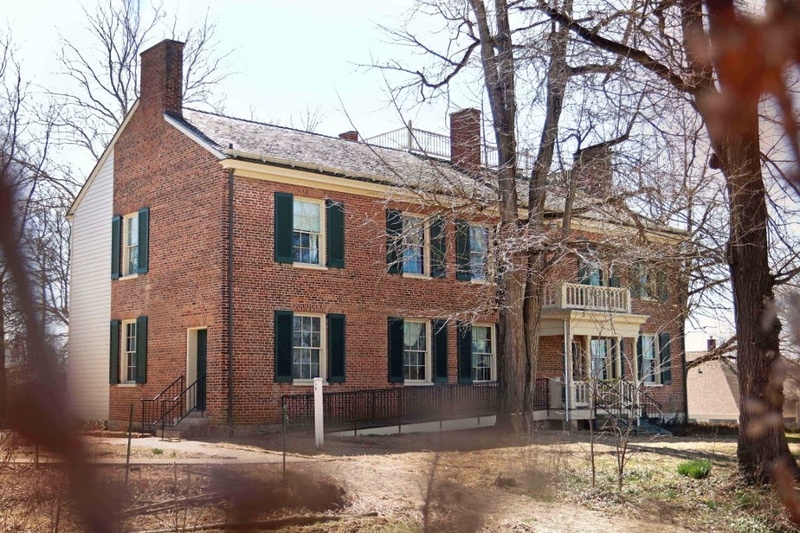 At age five, his father gave him a tube with 10 lithograph prints of the Fogg watercolors – all of which, plus one he found at a memorabilia show, would later go to the “Art of the Monon” exhibit. The question of where the original paintings ended up or even how many lithographs were printed still remains, but Savage was able to come close in the 1970s when he met Fogg and his wife at their home in Colorado. “He not only was interested in seeing them again, but he agreed to sign them all,” Savage said. Fogg even noted which locations the paintings depicted. 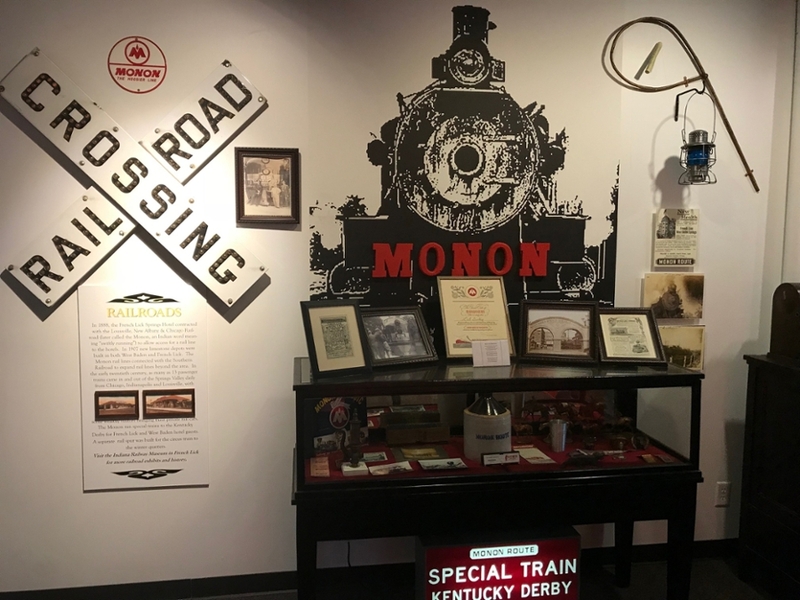 Apart from that nostalgia, Rondinaro says the time-capsule feel of the exhibition also gives some insight into how vital the Monon was to the construction of so many Indiana cities. 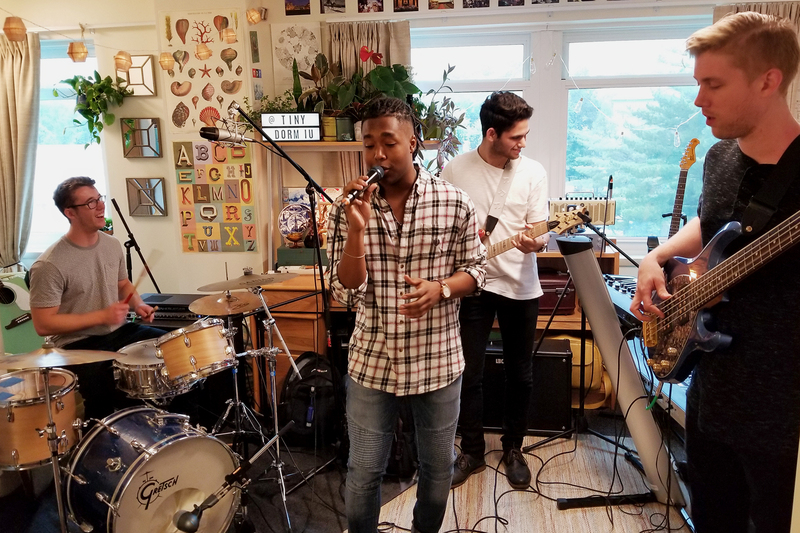 “You drive through Orleans and you think, ‘What the heck? Why is there this giant grain-handling facility in the middle of town?’ Well, it sits right next to the railroad track that ran right beside the town square,” he said. “The Monon did that in a bunch of Indiana towns. The “Art of the Monon” exhibit is on display at the French Lick West Baden Museum until September 1 and is covered by regular museum admission. For more information, you can head to their website.